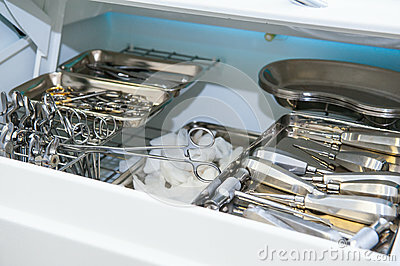 Close-up of chamber for sterile storage of medical and surgical tools in the dentist`s office. Surgery. Dentistry.